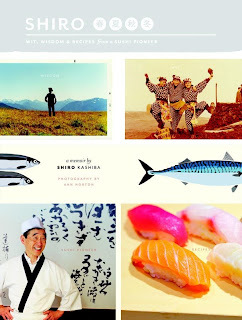 This month's book was Shiro: Wit, Wisdom and Recipes from a Sushi Pioneer by Shiro Kashiba, a local chef and personality. We all very much enjoyed his wonderful attitude, determination to do his best, and all the hard work he put into learning and mastering his craft. There wasn't a ton to discuss about this book, except Shiro's life and the beautiful book design. If you didn't get a chance to read it, you should at least take a peek...it is gorgeous! We are still talking about trying to do a dinner out at his restaurant. Bring your calendar to the next meeting, and we will try to pick a date. Our meal was just delightful! Emily - delightful candy sushi and some ice cream mochi. 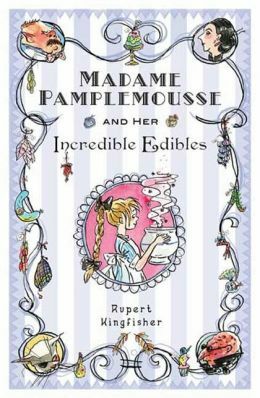 Next month we are taking it easy and reading a kids book, Madame Pamplemousse and Her Incredible Edibles by Rupert Kingfisher. Think French, silly, and tasty! We are also taking up a collection to thank the church for letting us use their wonderful dining hall and kitchen for our group, so please bring some cash to chip in! Hi -- I'm glad you enjoyed reading Shiro! I work for the publisher, Seattle's Chin Music Press. In case you're interested, we'll be holding an event with Shiro in September on the Bainbridge Ferry (with a free tasting afterwards). More info. is available at this link: https://www.facebook.com/events/1385667271654109/. Keep an eye out for our next food book: Kate Lebo's "A Commonplace Book of Pie" (http://amzn.to/12hohWD), due out in October!